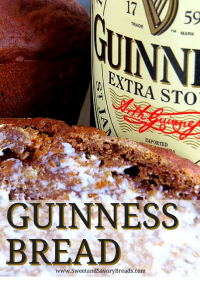 Since St. Patricks’ day will be here soon, and I haven’t made beer bread yet, I figured I would look into making bread with an Irish beer. 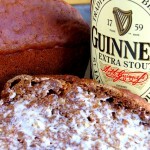 I came across this recipe via the Guinness Storehouse website to make Guinness bread. Thankfully I had molasses sitting, waiting and wishing to be used in the back of my pantry. (Shout out to Lisa, who was visiting, and helped me sort through it. Thanks Mom!) Anywho, the recipe is given with the ingredients by weight. Seeing as how I do not currently own a kitchen scale, (I know, I am looking into getting one ASAP!) I found this calculator to do the conversion for me. One caveat: Converting from weight to volume is not as simple as it sounds. The volume varies depending upon the density of the ingredient along with its weight. [Volume=Mass/Density] For the calculation a standard density value was used, but ultimately can never be the exact value for every situation. This is due to the density changing between measurements at a lab, and measurements at home. For example, the density of flour is different when it is first placed into a container, and when it has settled over time. So as a warning, when converting a recipe it is always an experiment the first time. Given that, this recipe turned out excellently the first time, and a few tweaks would make it perfect! In this situation it was nice to have a video of the chef creating it. By comparing against the video, my batter was more wet. I was not able to place a “little dent in the middle”. This may or may not have changed if I had used whole wheat flour. Also, after about 20 minutes, my batter began to spill over onto the bottom of my oven. I placed a baking sheet below to catch the drips, and waited until the volcano stopped erupting before testing the bread with a toothpick. The end result is tasty and enjoyable and I will make it again, but with a few changes. One, I would add the milk last, after the other wet ingredients were mixed together. I would then only add enough to create a slightly wet dough. Second, I would place the batter into two greased 9″ x 5″ pans rather than one and I would bake for a shorter amount of time. This is a dense moist bread with great flavor. 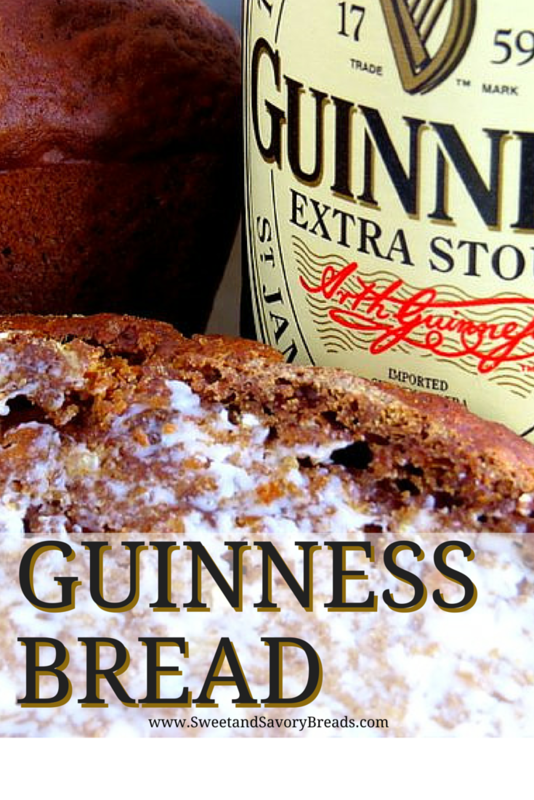 Molasses and stout beer is used for an intensely rustic and festive Guinness bread. Combine all dry ingredients thoroughly. Add butter, and cut into dough until the mixture resembles small breadcrumbs. Add the molasses and beer. Combine thoroughly. Add just enough milk to insure a moist, but not liquid batter. Refer to video above for the proper consistency. Pour batter into two greased 9" x 5" bread pan. Back at 350° for 30-45 minutes. Checking with a toothpick. Posted in Breakfast Breads, QuickbreadsTagged beer bread, bread, breakfast, loaf panBookmark the permalink. My take on the recipe would be to cream the butter, sugar, and molasses and then use a dry/wet alternating method with the dry ingredients and the beer and milk combination. Cut cold butter only into the dry and mix all wet ingredients together and then add in quickly (like a biscuit or scone).